You may have heard of the spreading of joy and creativity via yarn bombs, seed bombs, art bombs, play bombs … but how about kindness bombs? This spring holiday season, rather than plastic eggs filled with sweet treats made out of corn syrup and artificial ingredients, consider swapping them out with little notes of kindness! Make it a part of your family tradition, donate a basket of kindness filled eggs to a community egg hunt tradition, or place your kindness eggs in a nearby park or playground for the joy of discovery by others. 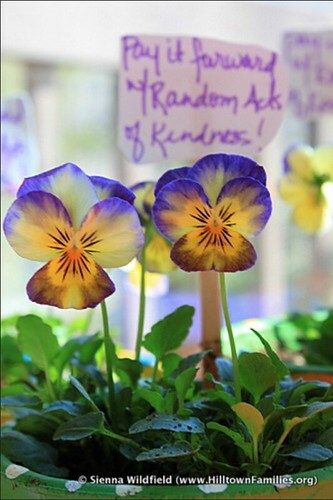 Brighten someones day while supporting values of kindness and community engagement. In late winter when the days are warm but the nights are still cold, the sap starts to run in sugar maples. Throughout New England, buckets and tubing begin to adorn trees, and the steady plinking of sap dripping into buckets can be heard throughout the sugarbush. 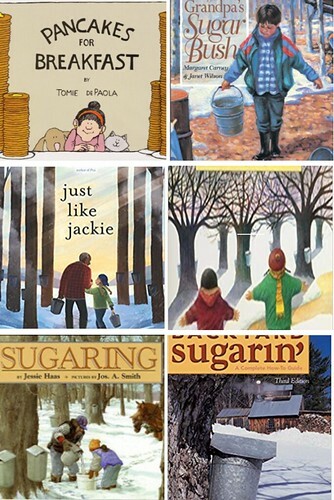 This month’s literature guide spotlights titles that can be used to learn about sugaring – both the science behind it and the role that it plays in rural New England culture. November is a month of generosity, with gestures of abundance played out through our community landscape. Nature is generous, leaving our open fields and meadows with a plethora of grass and wildflower seeds feeding wildlife in the winter and delivering a promise to summer pollinators. The cultivated land is generous, delivering a cornucopia of locally grown food from the late harvest. People are generous, volunteering and spreading kindness during the holiday season. 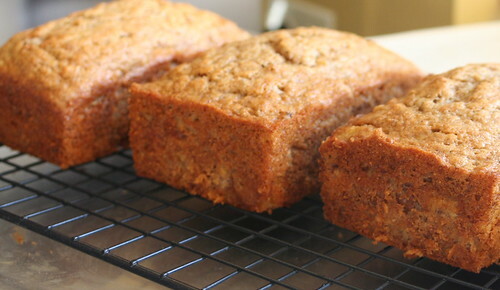 Family and friends are generous, sharing recipes and stories during holiday dinners. And the community is generous, creating a shared history together during annual community meals. During this month there are at least two common threads that run through these gestures of generosity. The first of which is food! Integrating community engagement opportunities centered around food with curiosity and compassion can help to strengthen our connection to place by being fully present in the moment and open to those with whom we share our lives… and our meals! Hilltown Families and Mass Appeal (a weekday, hour-long lifestyle program on NBC) have teamed up to offer a live monthly segment on WWLP 22News! Each month, community-based education specialist and Hilltown Families’ Founder, Sienna Wildfield, joins Mass Appeal hosts to talk about ways to engage in your community while supporting the interests and education of your children (and yourselves!). This monthly segment continued on Monday, May 28, 2018, with Sienna and Lauren talking about how the Memorial Day is the perfect time to show appreciation towards those who have served our country through self-initiated activities while learning via community-based resources. Mass Appeal is a live weekday program that airs at 11am on 22News (Springfield, MA). Our next visit to the Mass Appeal studios will be Monday, June 25th, 2018! Red poppies are associated with Memorial Day. Do you know why? 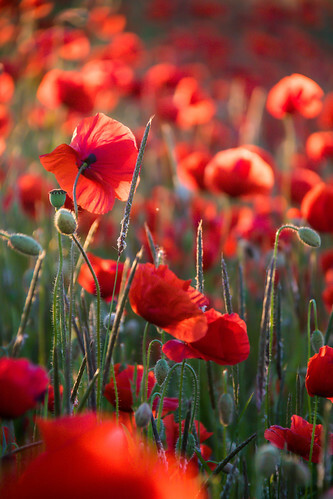 Find out in this article, The Significance of Poppies and download this worksheet to supplement learning with young children. History: What is Memorial Day? According to usmemorialday.org, Memorial Day “started off as a somber day of remembrance; a day when Americans went to cemeteries and placed flags or flowers on the graves of our war dead. It was a day to remember ancestors, family members, and loved ones who gave the ultimate sacrifice… But now, too many people ‘celebrate’ the day without more than casual thought to the purpose and meaning of the day. How do we honor the 1.8 million that gave their lives for America since 1775? How do we thank them for their sacrifice?” Learn more about the traditional observance, history, and origins of Memorial Day at www.usmemorialday.org. Online Resource: Learning about the individuals who served in wartime can have a significant impact on our sense of appreciation as we remember their acts of service. Introduce yourself to the American Vietnam War Veterans who were born on this day/month and those who died on this day/month. How does learning of their age, race, hometown, religion, marital status, length of service, how and where they perished, and reading comments from friends and family, impact your emotional connection to the people who served our country? Local Cemeteries/Self-Directed Learning: Another way to learn about veterans who served our country is by visiting historic graveyards. In Agawam at the Massachusetts Veterans’ Memorial Cemetery, nearly 10,000 veterans and their dependents have been interred, hosting annual Memorial Day and Veterans’ Day ceremonies. 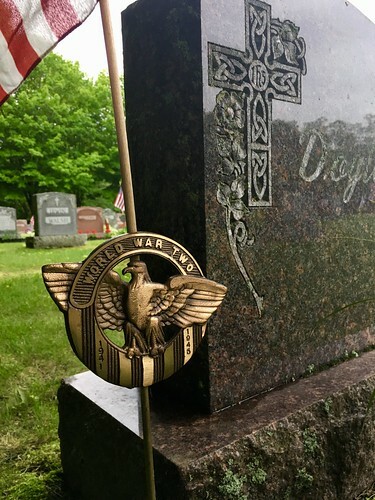 Filled with stone markers that chronicle a community’s history, local cemeteries can provide visitors with a look deep into the past and even into the lives of those who have served our country. Families wishing to engage in self-guided tours of a historic cemetery can visit Longmeadow’s Olde Burying Yard section of the Longmeadow Cemetery, where a collection of headstones serve as a museum chronicling the town’s history. Some gravestones can be explored via virtual tour, while others must be located in person. Historic Northampton offers virtual tours of the city’s Bridge Street Cemetery, a 300-year-old graveyard that is the final resting place of many notable Northamptonites. Volunteer Opportunity: Remembering American veteran’s also happens in December with the national program, Wreaths Across America. Look for volunteer opportunities at the Massachusetts Veterans’ Memorial Cemetery in Agawam, MA during their annual placement of wreaths which happens on the 3rd Saturday of December. Fun Gardening Activities for Little Hands! Garden starts like tomatoes, pea shoots and other delicate plants are not something a toddler can easily handle without destroying. However, there are some really great garden prep activities that even the littlest of the little ones can help with. 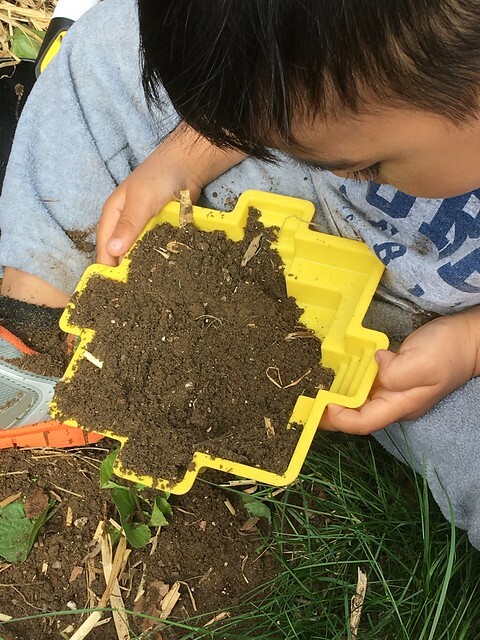 Watering, raking, and weeding may be the obvious places to start, but here are a few more fun early spring garden prep activities for the younger green thumbs. This monthly segment continued on Monday, April 30, 2018 with Sienna and Lauren talking about how the spring holidays are the perfect time to show kindness and appreciation towards others through self-initiated activities while learning via community-based resources. Click on video for viewing. Our next visit to the Mass Appeal studios will be Monday, May 28th, 2018! 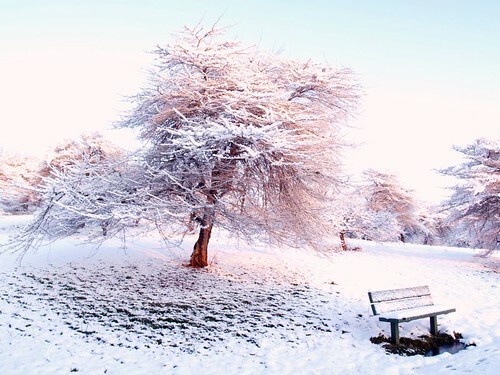 This holiday season, families can achieve the sharing of kindness and meaningful gift giving by exploring mindfulness meditation in order to give the gift of mindful presence. Not only does the gift of mindful presence benefit those around you, it benefits the gift givers themselves by granting feelings of calmness and deeper awareness of the world around them. Read more in our post, The Gift of a Mindful Presence. Uncertainty is always with us, though we are elaborately and profoundly adept at masking it under layers of practices and to-do lists to keep the uncomfortable, frightening feelings that come with uncertainty at bay. But for me, this past month shattered many of the illusions of certainty to which I was clinging. I was suddenly cast into a deep discomfort and fear of the unknown that I had never before felt so strongly or across so many aspects of my life, as well as the lives of many people whom I love. When I first began to study mindfulness and Buddhism years ago, it was because on an impulse, I purchased the book Comfortable with Uncertainty by the American Buddhist nun Pema Chodron. I really liked the title, because I was young, insecure, and totally not comfortable with anything. Since in the immediate days after the election, I have been googling how to move to Canada, compulsively cleaning my house, and spending hours composing long, eviscerating responses to comments on Facebook that I would never actually post. I was clearly once again not comfortable with uncertainty. I pulled Chodron’s book back off the shelf for a refresher course on mindfulness when dealing with uncertainty. ‘Tis becoming to season to pay special attention to spreading kindness to those around us! 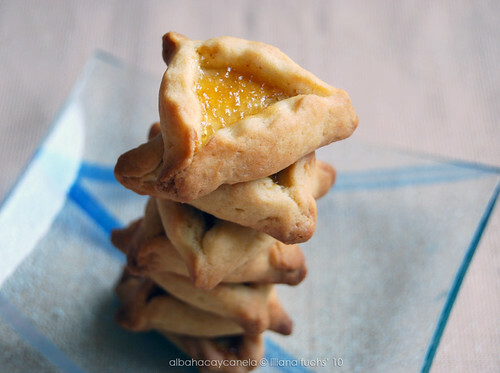 Families can spread kindness by sharing homemade foods with neighbors, and can expand this activity to include studies of world cultures by baking foods enjoyed internationally! While kindness should be spread all year long, the approaching holiday season presents an opportunity to share kindness more than ever! One way to accomplish this goal is by sharing food, which not only spreads kindness throughout your community but promotes non-commercial celebrations of the holidays and provides families with opportunities for hands-on learning about foods in cultures around the world. With the many weekends of harvest festivals winding down and Thanksgiving right around the corner, the air is thick with the pumpkin spice aroma of, well, everything, and it is hard to miss that another season of thanks is upon us. While every day is an opportunity to be grateful, with children I find this season in particular can offer some prime opportunities to practice gratitude in unique ways. 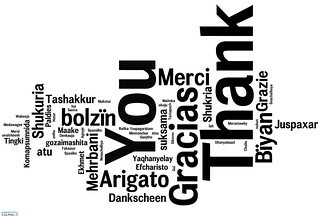 For my family, there are a few variations on familiar themes of gratitude that I have found work to teach both gratitude and interconnectedness, the latter of which helps teach how far our circles of gratitude really can reach. 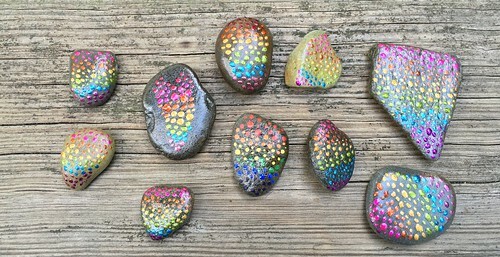 Recently my brother got into painting rocks and leaving them for strangers to find. Art abandonment he calls it. I hadn’t heard of it, but now that I have, I thought this is a perfect way for a toddler to spread love, gain empathy and become more generous. Not to mention a great way to brighten up the landscapes around town. Or just put them out there as is. My brother chooses the dot pointillism approach. This is a great technique for the older toddler or preschooler to learn. 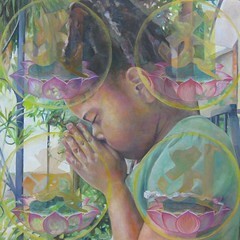 By adding a single-color at a time in the form of a single dot can help a child experience art with extreme intention. They can focus on one color or a series of colors. One child will group like colors together and others may create an image from multiple colors. Some may choose to paint the rocks a solid color and that’s fine. You don’t have to restrict your child into a particular technique, instead encourage them to be as creative as they would like. Offer several different colors of paint and a bunch of different shape and size of rocks. Building Community One Poem at a Time! 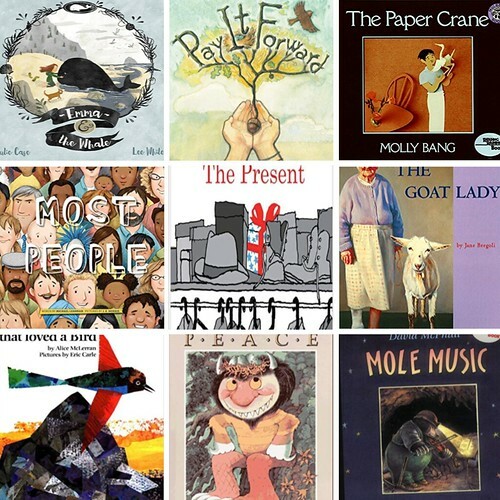 Celebrated annually as part of National Poetry Month, Poem in Your Pocket Day encourages people to share writing and connect with others by spreading poems throughout their communities. Celebrated by literally carrying poems in pockets or by sharing words through more creative means, the event presents a unique opportunity to share important writing and to connect with others through the thoughts and feelings that great writing can provoke. In Barbara Cooney’s book Miss Rumphius, the woman lovingly know as the Lupine Lady spreads beauty throughout her community by keeping a pocketful of seeds to distribute – so as to share the joy of nature’s treasures. 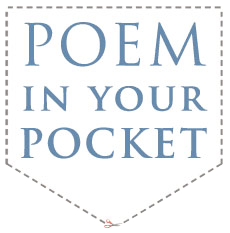 During National Poetry Month, families can apply the Lupine Lady’s philosophy of life to the written word by participating in Poem in Your Pocket Day. With the simultaneous and instantaneous beginning and end marking the shift between New Year’s Eve and New Year’s Day comes an almost equally sudden desire for change. Along with the start of a new year come all of our best intentions for our selves, our treatment of others, and our footprint in our community and our world. In order to accomplish all that we’d like to, or even all that we can, during the new year, it is perhaps more important to connect with ourselves before we attempt to change ourselves – exploring the shape and structure of our foundation before we build upon it. Drawing inspiration from the holiday’s roots, use the day after Christmas to show some appreciation for those in service positions who you see regularly. Kids can make thank you cards for the workers who stock shelves and bag your groceries at the local co-op, bake and deliver cookies to the farmers at a local CSA, or make prayer flags covered with messages of thanks and gratitude for the doctors and nurses working at a local community health center. Every month we take preschoolers to the Calvin Coolidge Nursing Home to visits whom we call, the Grandmas and the Grandpas. We have been doing this for a few years now and it wasn’t until recently that I realized how impacting it is on both generations. It wasn’t until one of them put a call in on a banana to one of the Grandmas and told her he was coming soon and he missed her. He missed her and this is the way a 3-year-old says he cares. He missed her and he was thinking about her. What could be better than that? The visit itself to the nursing home is an amazing gift for both the children and the residents there. The children are the center of attention (which they love), laughter fills the room and the residents are happy and engaged. Often they reminisce about the past and their children, whom are grown and grandparents themselves. They gently sweep the faces of the children and they both smile. 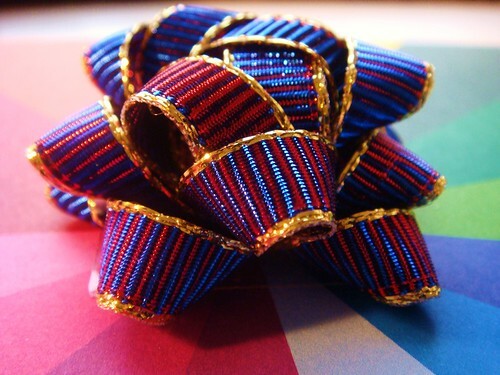 A priceless gift! Do you let your kids quit? Do you let yourself quit? In this month’s “Off the Mat: Reflections on the Practice of Parenting,” Ginny Hamilton explores the difference between being comfortable in the deep end and being in over your head. Today, I quit. I’m not big on quitting. But I am proud of myself in a way. Hear me out. 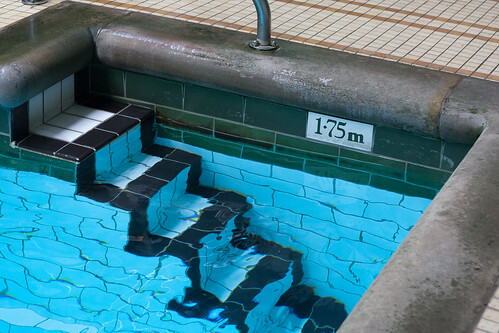 In September, my son started swim lessons. Despite our best intentions for fun, exercise, and life skills, it quickly became a dreary slog. Timing is everything, and Fridays after school isn’t his best time. Even so, I refuse to let him consider quitting until he can swim in water over his head. 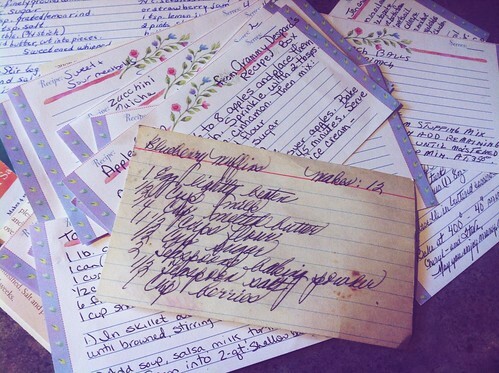 This holiday, start a new tradition… dig out your old recipe cards, and host a Holiday Food Share, where family members and friends cook a recipe that’s most meaningful to them, while sharing a memory of what makes it so special. What a great opportunity to bake that casserole your great aunt was known for, and to share stories rich in history and nostalgia. 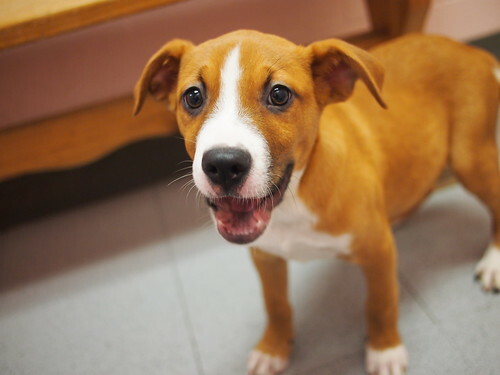 Fostering Service Dogs: Service-Based Learning for Animal Lovers! Helping to provide much needed support for humans, service dogs are truly some of man’s best friends. Local families can engage in service-based learning by fostering future service dogs, giving them a loving home while helping to support their training. Information sessions are held weekly for interested local families! 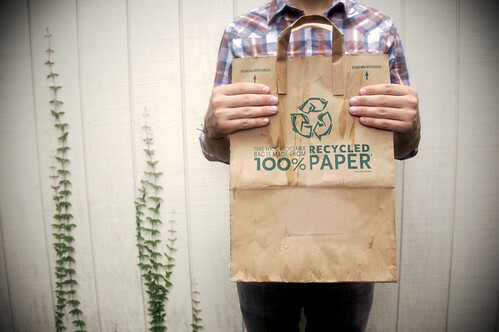 Recycle brown paper bags into “donation bags” this holiday season and join a local family friendly effort to bring kindness and giving to the holiday season! This is the time of year to think about not just our families but also for our community. Living in such a small valley makes it easy to make connections that are meaningful and valuable. 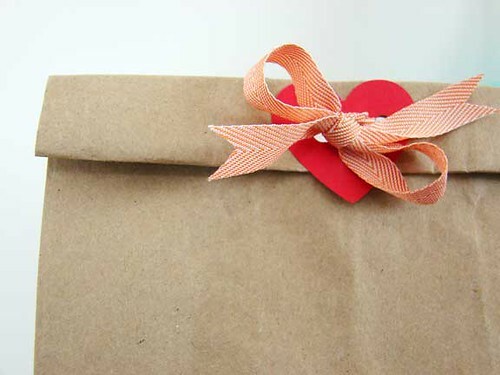 One easy activity that will help your children understand the value of giving and gratitude are donation bags! Taking place across western Massachusetts, community meals held around Thanksgiving offer opportunities for communities to connect through food and for families to give back to their communities. 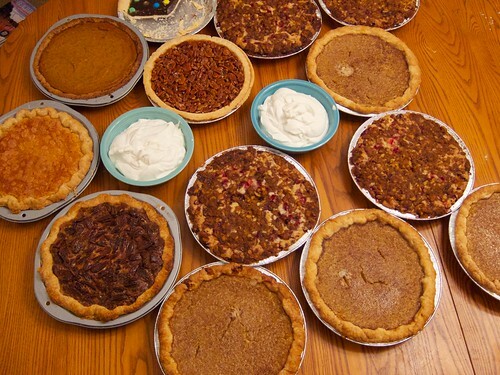 Families can donate food (like homemade pies made with your kids! ), volunteer at events, or attend community meals in order to help build community! When I think of everything a holiday should be, Thanksgiving has all the bases covered. There are few joys greater than the smell of a home cooked meal, and the warmth of family and friends gathered around the table to enjoy it. This holiday isn’t about wish lists or battling long lines and huge crowds in search of the perfect gift. In fact, Thanksgiving gives us the unique opportunity to give something greater – the gifts of time, presence, laughter, and love. Visiting extended family of my parents’ generation, I’m aware of how little we’ve focused on manners thus far in my kiddo’s life. He still eats with his fingers, comments on people’s appearance in a matter of fact way, and asks how old they are, assuming everyone is as proud of their years attained as he is at 6 and a half. The age question catches our hostess up short. Sorry, I say, we haven’t put much focus on manners beyond please and thank you. What do you focus on? she replies. And I’m stumped, realizing I can’t articulate it. Given that “why?” remains my child’s favorite word (followed closely by “poopy”), I’m regularly prompted to explain the logical reasoning behind various social norms. Take table manners, for instance. Napkins in laps protect pants from spills. 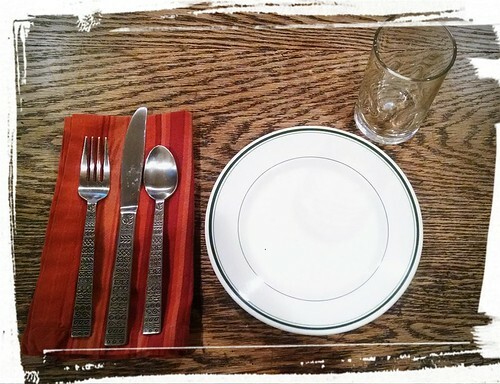 Elbows are less likely to knock over milk glasses, again, if they are off the table. Talking with your mouth full is a choking hazard, besides just being gross to look at. These are concrete reasons to practice politeness. Cultivate a Culture of Kindness by Dancing! Celebrated annually on November 15th, World Kindness Day was created through a partnership called the World Kindness Movement to highlight and promote the role of kindness in cultures and communities all over the globe. While there are many ways – big and small – to celebrate the day and spread kindness, perhaps the most visible way to promote this year’s World Kindness Day is by dancing! Taking place in 80 different cities in 32 countries, and encompassing a group of dancers that’s over 10,000 strong, Dance for Kindness promotes World Kindness Day (as well as a year-round commitment to spreading kindness) with an exciting freezemob and flashmob event! Held on Sunday, November 8th, Dance for Kindness brings together kindness-committmed dancers all around the world to engage in the same choreographed dance in order to raise awareness for their compassionate cause and to encourage others to do the same. The flashmob dance not only draws attention, but highlights acts of kindness through carefully planned poses. 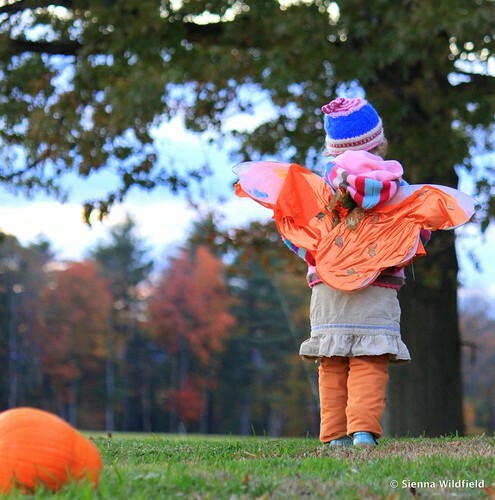 This Halloween, kids can give back when receiving candy from their neighbors. Here are 4 easy handmade crafts kids can make before Halloween night to carry with them and to give back to neighbors. It is Halloween, a time of year everyone dresses up! Young children especially love this time of year! For them, this their costumes and love for pretend play, it’s Halloween all year round. Finally everyone is playing along! It is also a puzzling time for toddlers and preschoolers. When toddlers go door to door during Halloween it is exciting and mysterious. They knock on strangers’ doors and get candy for being brave, dressing up, and playing along. A fun way to make the whole experience more engaging and reciprocal is to give back to those neighbors, to the community, to the generous people behind the candy. Acts of Kindness: Adopt a Black Cat! Defy Superstition and Practice Kindness: Adopt a Black Cat! According to Puritan superstition, black cats carry with them demons and sorcery. The notoriety black cats have gained through this superstition has landed their silhouette on many a Halloween decoration, but otherwise, it hasn’t worked out well for them. And according to the superstitions of other cultures, black cats actually bring much more good than harm! 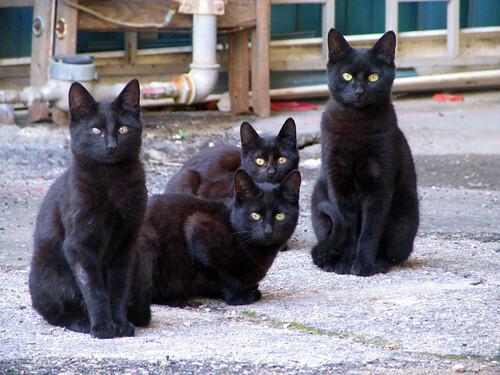 Scottish folklore tells of black cats bringing prosperity to homes they visit, and British and Japanese folks are quite fond of black cats as well! Statistically speaking, black cats and kittens don’t fare well at shelters. Rather than bringing bad luck, they actually tend to have some bad luck of their own and are the least adopted cats in US shelters year-round. There’s no definitive reason for why this is, but animal rescue organizations believe a combination of superstition, dark kennels, and the brightly colored coats of other cats could all be partially to blame. Attention anyone with a closet: Those shoes you no longer want are desperately needed to fight the human tragedy of global poverty. That’s the message delivered by Westfield State student and Circle K member Rebecca Talamini ’15, who organized a Soles4Souls shoe drive and collected over 880 pairs of shoes to help the poor, and 35 single shoes to donate to amputees! For the new year, make a family commitment to spreading kindness throughout your community! Rather than creating resolutions for self-transformation based on perceived flaws, celebrate your skills and share your love for those around you by engaging in acts of kindness all year long. It’s a powerful project! At the start of 2014, we encouraged families to focus on resolving not to change or add to their lives, but to simply enjoy the good things in life. Rather than using the start of a new year as a time to focus on ways to fix perceived flaws in ourselves, it’s much more enjoyable to use the first of the year as a time to spark positivity and, after focusing on enjoying the good stuff in 2014, families can use the start of 2015 to spark a year of sharing kindness.